Three more days and we will all bid goodbye to 2011. I can't believe that another year is over! Everything still feels like yesterday. As they say, time flies so fast and before you realize it, a lot of things have already happened. 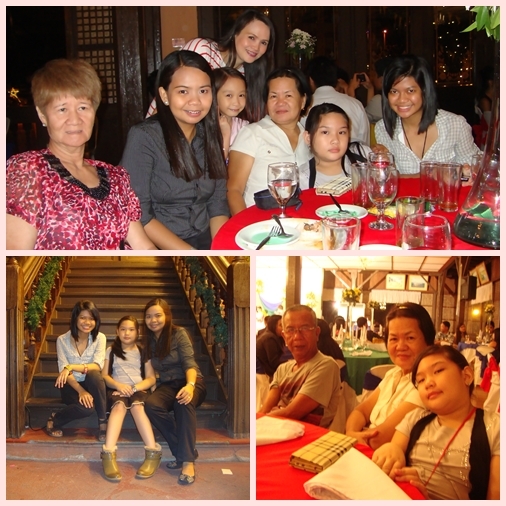 2011 will forever remain as a lucky and memorable year for me. My first ever international research presentation and first trip abroad happened in this year. God has also been gracious enough to give me plenty of free lance jobs. 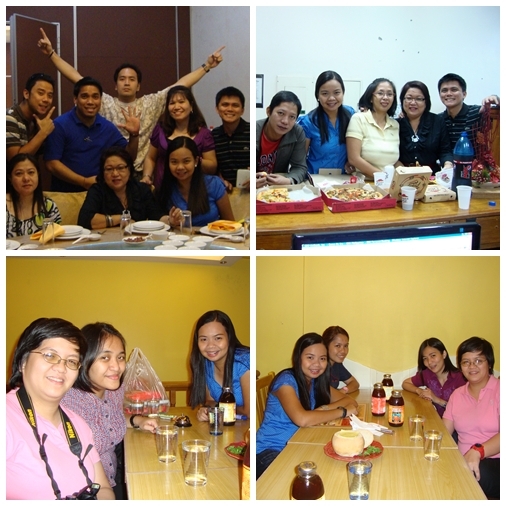 Though the early months of my 2011 wasn't that good because I lost a friend and I was almost hospitalized just because of neglected cough, God compensated and gave me a blast at the end of the year. I also had my share of bad times and frustrations in 2011, but all the blessings were more than enough to make me happy and thankful. So to further spread the luck and happiness, I'm hosting my second humble GIVEAWAY! Since most of my blog friends, followers and readers are female, I decided to have a pink tote bag for the giveaway. 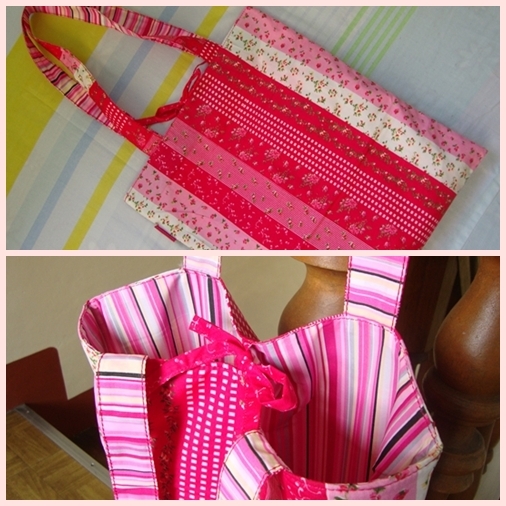 The bag is reversible so you can choose between the floral or the pink stripes. "Among my 2011 posts, which one did you like the most?" You don't have to be a follower or make a post for my giveaway to qualify. :-) But if you want to do so, I will highly appreciate it. Everyone is entitled to only one entry. The prize will be shipped for free to anywhere in the world. The winner will be drawn through random.org and will be announced anytime on January 2, 2012. You can join my giveaway as long as I don't disable the comments in this post. to all my blog friends, followers and readers! One of my constant goals in life is venture to new experiences every year. Something new may include going to places I've never been, trying out new restaurants, saving up to purchase something from a shop I used to dream on, to enriching myself through a new learning opportunity. This year, I have a few experiences to list in my table of accomplishments. Earlier this year, I was given the opportunity to visit Puerto Galera. 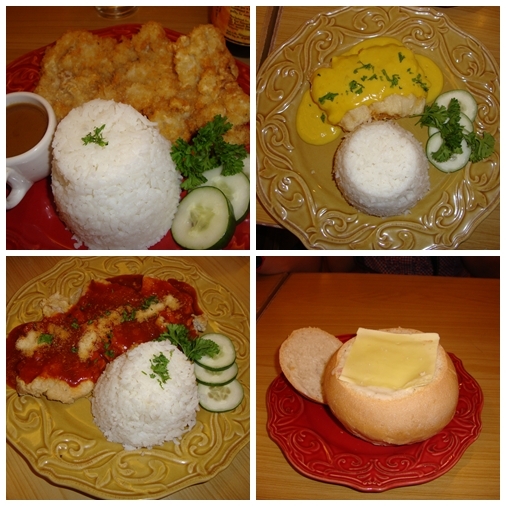 I tried a few new restaurants such as Cafe Lidia and Pan de Amerikana. But more importantly, my trip to Taiwan serves as my greatest humbled achievement. This post will not serve as another story telling adventure of my first international trip. Though honestly, I am still overwhelmed on the entire experience. I don't however want my dear readers to become annoyed and exhausted over my repeating stories. What I will instead share here is a new and shallow food trip experience. 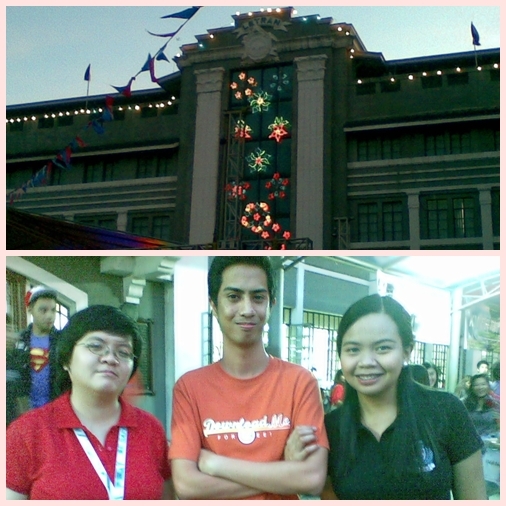 Last year, I forced two of my friends to join me to experience Banchetto. Banchetto is one of the pioneers in the food night market in the Philippines. 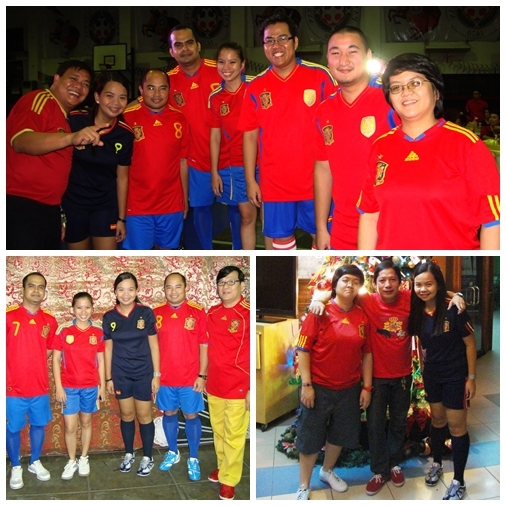 This year, I was the one tagged by another group of friends to experience another famous food market in the city. Two of my fierce friends brought me to Il Mercanti! Il Mercanti was established late this year by partners who have been doing businesses in the food industry. Il Mercanti gathers different food entrepreneurs in the heart of Pasig City from 7 pm to 4 am. As I see it, Il Mercanti targets young professionals and all those food lovers, who are in search for newer and better dining experience in the most reasonable prices. As compared to other food night markets I've experienced, what I appreciate about Il Mercanti is the larger space, lesser crowd and more seats available for all food enthusiasts. Enjoy the classic corn dog and some traditional Filipino street foods on a stick for only Php 15. I would die for this!!!!! My heaven of sweetness! Sorry I forgot the name of this dish. Sorry, Tara :). and for dessert, my all time favorite and sinful Oreo Cake. Thank you Tinee and Tara for bringing me to Il Mercanti. 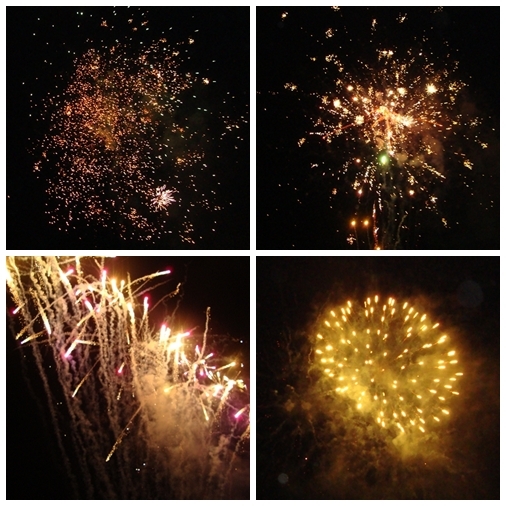 :) I enjoyed the first time experience. ﻿ If you have an extensive book collection at home then why not consider this. 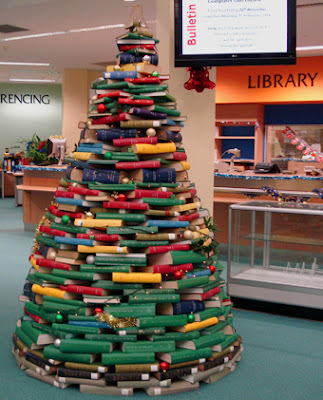 Empty your book shelves and arrange your books to a tree just for the season. Who can resist to this? 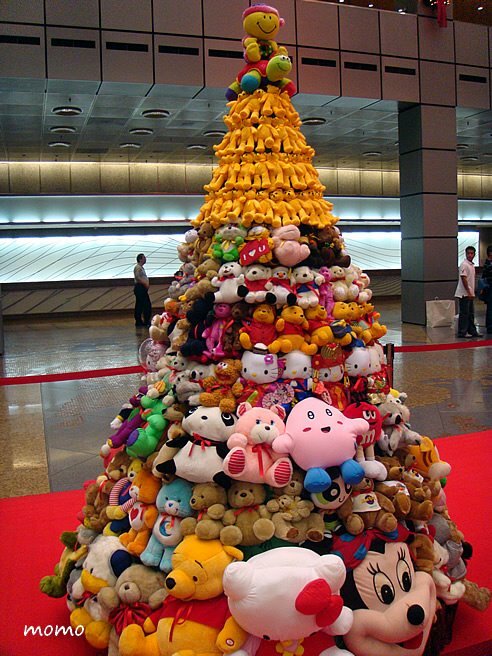 Why not try a Christmas tree made of ribbons and buttons? 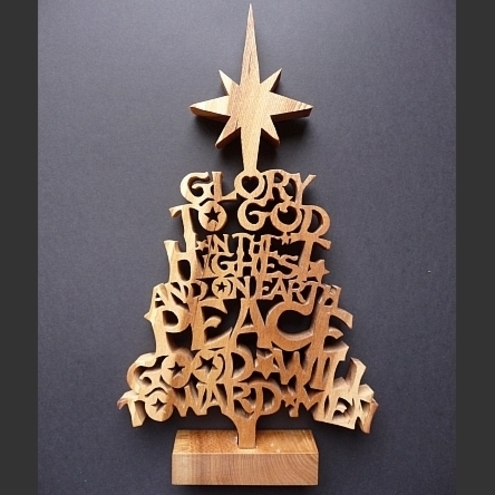 I'm sure most of my blog friends into crafts would love the idea of this tree. Your scraps of ribbon and buttons can already be elegantly reused. ﻿ How about old colorful buttons? I love this! The color combinations are so feminine and refreshing. 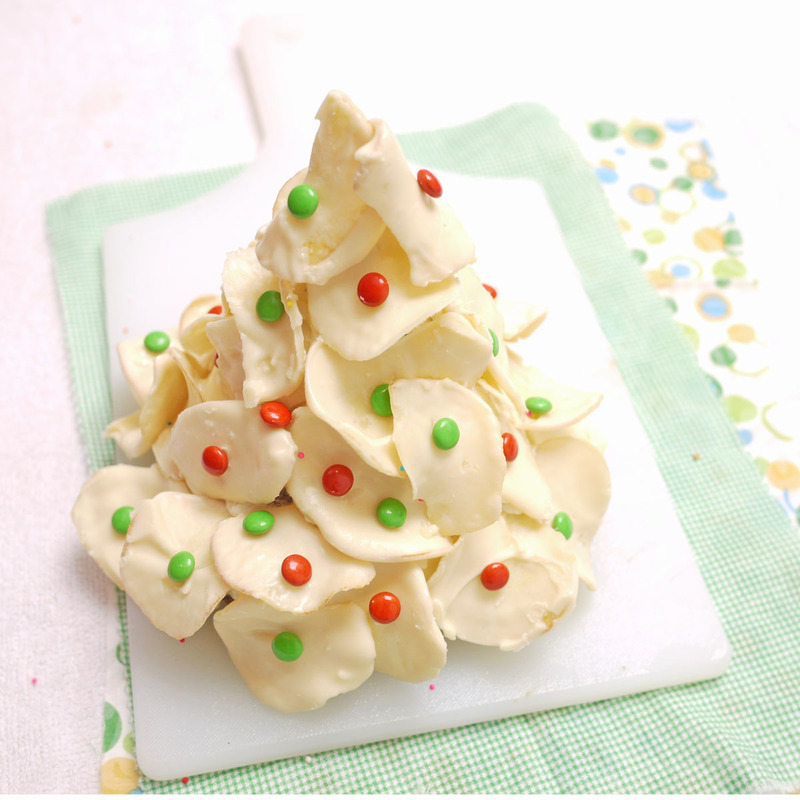 How about an edible Christmas tree? I love M&Ms and potato chips, but in this case I have to think twice. How can I destroy this masterpiece? 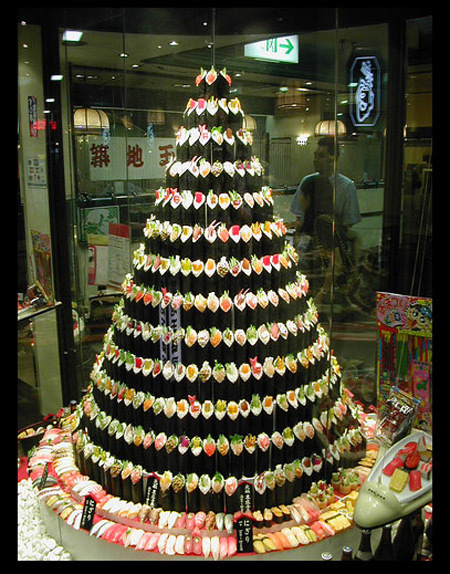 ﻿Go healthy with a fruity tree! How about with the famous Japanese dish? 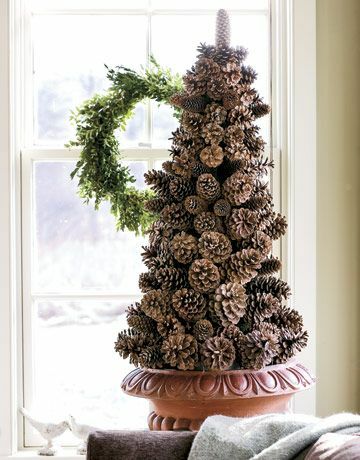 ﻿A Christmas tree from the sea? Yes, it's possible with some great collection and creativity. 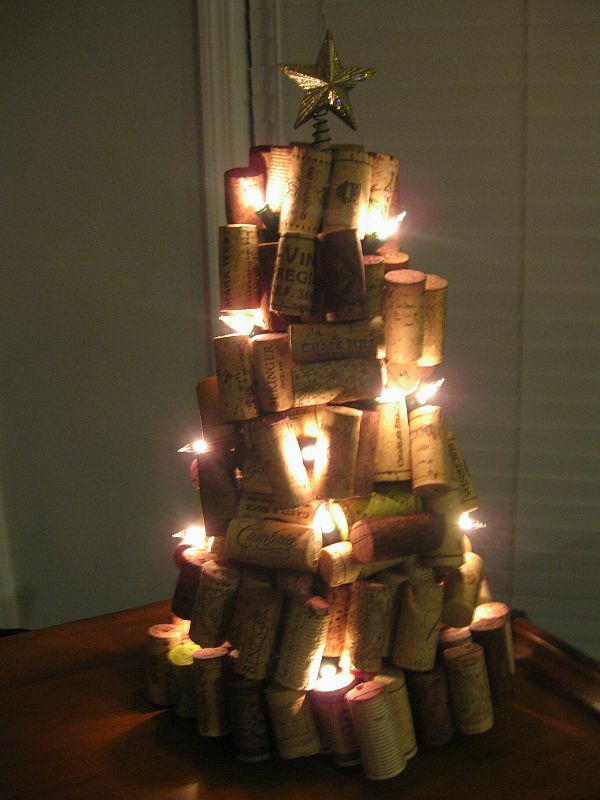 Recycling also works for Christmas trees! 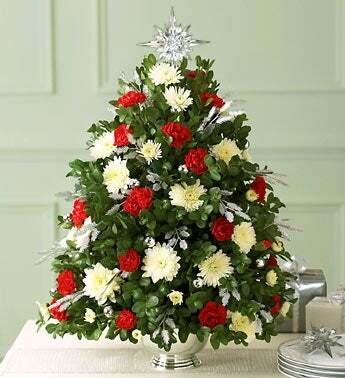 ﻿ ﻿ Old telephone directories, books and even newspapers can make small Christmas trees for your sidetables. Blue and green looks so refreshing. Rival Pepsi and Sprite make a great Christmas tree! I never imagined that a ladder could serve as a Christmass tree. This reminds me of Baguio City. A Christmas tree on your wall? I never thought of this too. Hats off to the people who made this.